A quick outfit post from my birthday. I Spent the day with my fiance shopping in manchester and leeds, turns out it was pretty much the only place in the country where it wasnt raining or snowing that day. 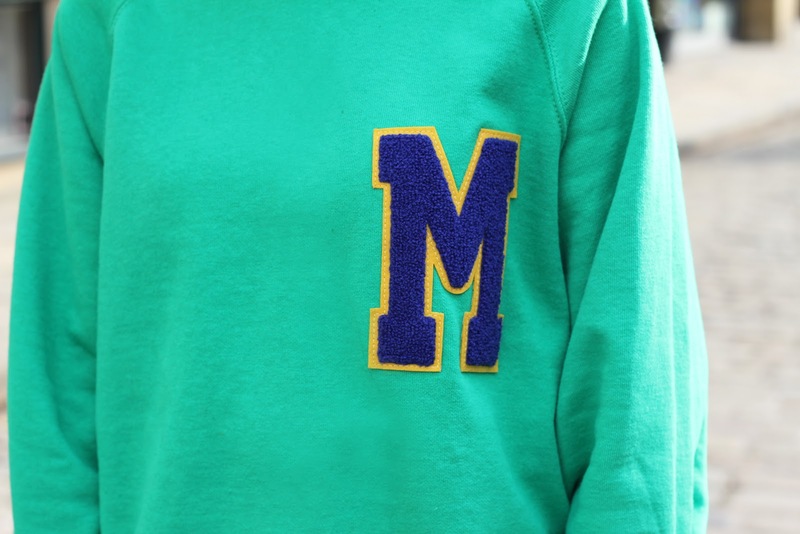 My sweatshirt was a present from the other half, i'd been after a bright green number for a while and this made the cut with its big M, first letter of my fiances name. I'm still wearing these baggy leather numbers to death, there just too comfortable and their thickness makes it feel like your wearing thermals. Cant believe we are almost in april and still we have snow...spring where you at?! !